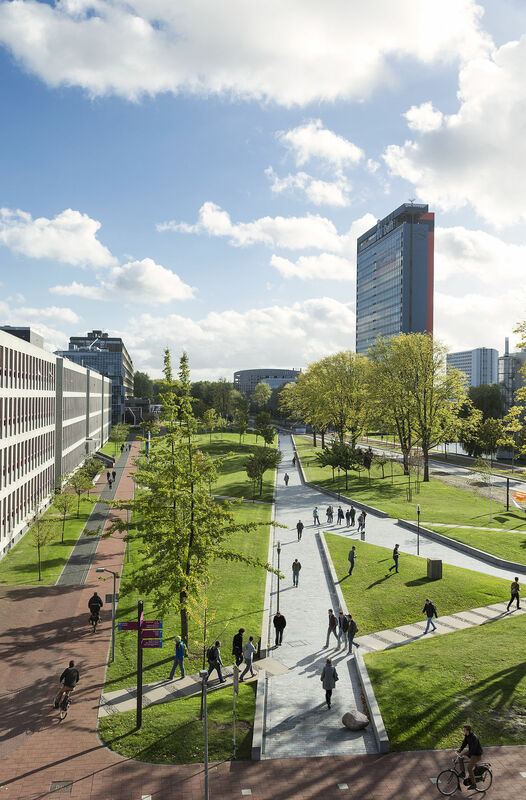 The Faculty of TPM has excellent student facilities, some of which are available to all students of the Delft University of Technology (TU Delft). A part of the facilities is only available to students at the Faculty of TPM. Brightspace (digital learning environment) is being used for virtually every module taught at the TPM. Within this digital learning environment study materials can be placed and exchanged, group work can be executed, questions or papers can be sent to the tutors. 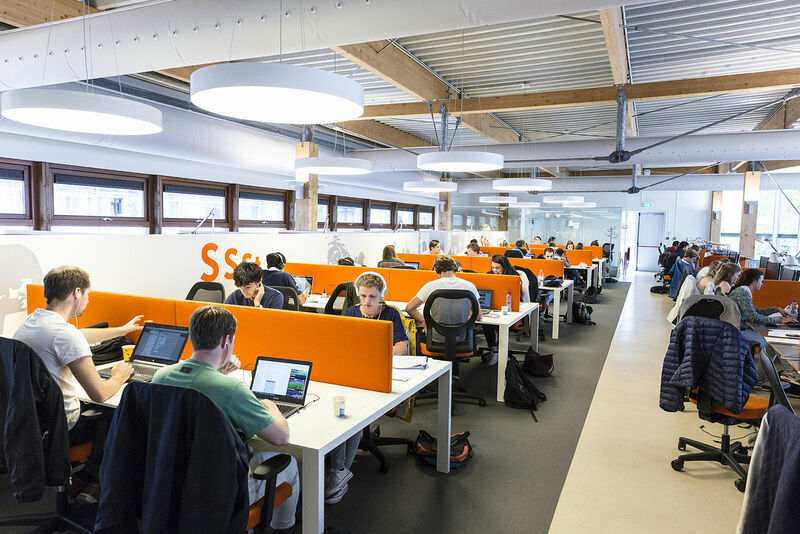 Brightspace is available to every TU Delft student via Internet. 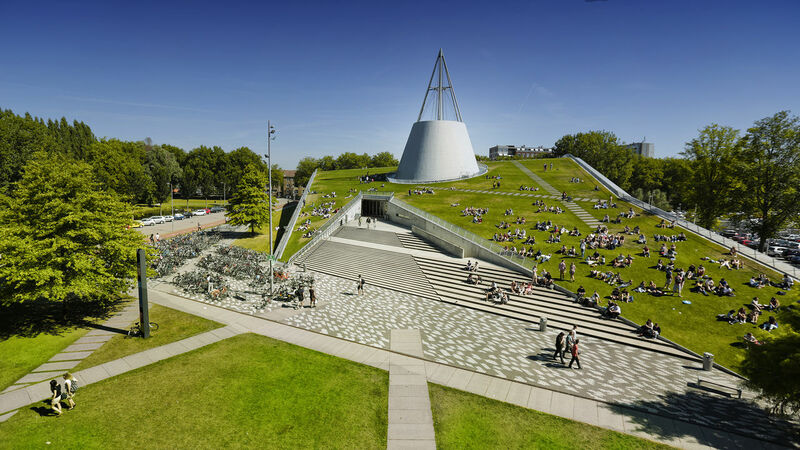 Every student enrolled at the TU Delft receives at the beginning of the academic year his or her campus card. With this card he/she is entitled to take part in the activities at the university (lectures, practicals, examinations, facilities) and/or to receive price reductions for taking part in sports and culture activities. Every student at TPM may use the computer room to study on their own or to make use of the printers, unless the room is booked for a group practical or a test. During holidays the computer room is closed. Standard computer software is available to every TU Delft student for a special student price(i.e. with reduction), for use at home for study purposes. The Culture Centre at TU Delft offers many cultural activities like extracurricular courses or lectures, music or dance performances and films. The Studium Generale offers extracurricular courses in fields not directly associated with study programmes, but potentially interesting for all students and employees. The faculty library has all the books that are used in the academic programmes of TPM, but other literature on subjects interesting for TPM students is also available to students and employees. The library is open every day from 9.00 till 21.30 and on Fridays from 9.00 till 17.00. The TU Delft library is much bigger and possesses literature on subjects from various fields of technology and research. See further the library website. At the TU Delft X (previously Sports & Culture) students can freely take part in many individual or group sports; or special courses where enrollment is required. To be able to participate a sports card is necessary (available for a reduced student price). Each student at the Faculty of TPM has an individual computer account with an e-mail address, available via the computer rooms or via internet. The SIC is a place which students are welcome to visit for (almost) all affairs having to do with their study. For example: to buy study materials, to make an appointment with a study adviser, to enroll for an elective course, or to get a list of their study results. The SIC is comfortably situated on the ground floor of the Faculty building and is open every day from 10.00-12.30 and 13.00-15.00. To pay for the study materials students are expected to make use of their debit card or a special chip card (no cash accepted). At the faculty of TPM there are two study advisors employed exclusively to help and assist students having problems with their study or with other aspects of their life, which can negatively influence their study progress. The help is being offered on a strictly confidential basis; privacy of the student is guaranteed. Study advisors can also be of assistance at the decisive moments during the study; for example when the student has to make a choice about electives or about a specialisation (profile). They are well informed about the possible choices and can give students objective advice about the best options. See further information under Contact. Each course at TU Delft has its own study association. This association promotes the interests of students. The umbrella organisation for the study associations is the StudieVerenigingenRaad (SVR). Curius is the TPM students study association at TU Delft. Representatives of the study association are in the facultys board of studies, contributing to discussions about the education. They follow the education critically, report problems and suggest solutions. They also organises many other things for your studies: symposia, company days, excursions at home and abroad, etc. They also provide conviviality, through organising frequent get-togethers and parties. You can find more information about Curius on their website. Information about the curriculum, enrollment, planning etc. is available at the Student Information Centre and on the faculty website. Periodically, special information meetings are organised to inform the students about relevant aspects of the different phases in their study; for example, about starting preparations for the thesis project. The data for these events are announced via Blackboard and on the faculty website.